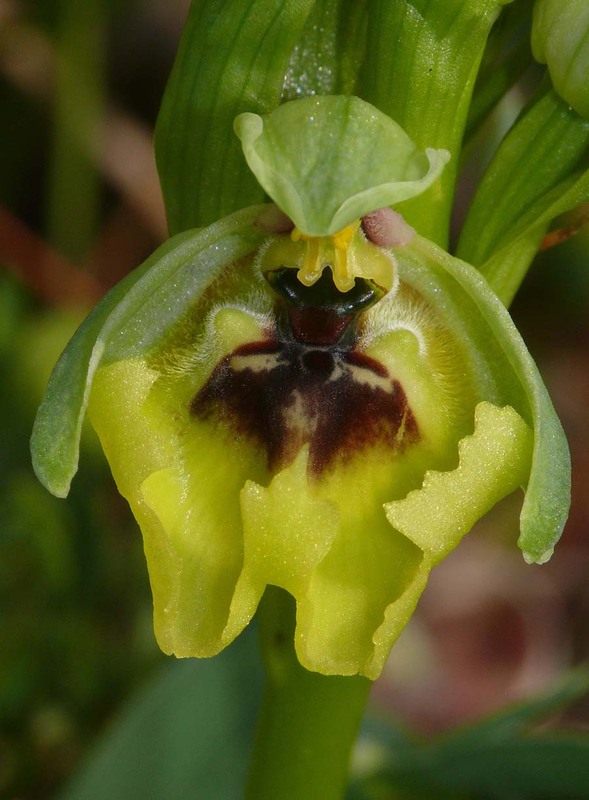 This beautiful orchid was first described from Sicily by Lojacono in 1909 and named after the famous turn of the 20th century English botanist, C. C. Lacaita . 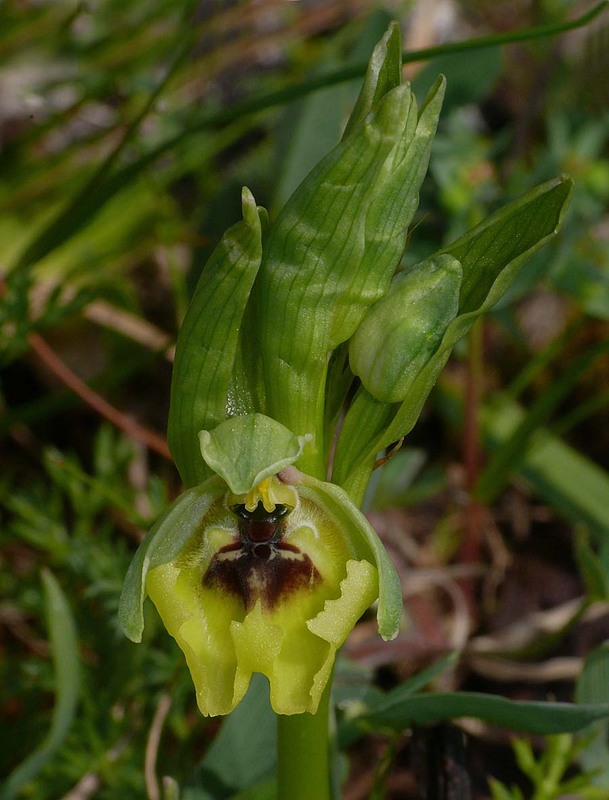 It is a member of the seven strong O. fuciflora group of Ophrys. 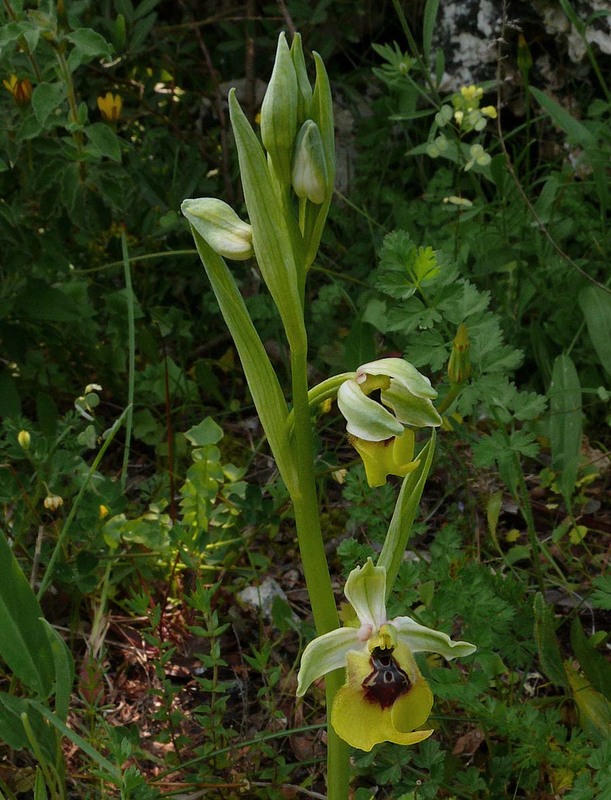 O. lacaitae has an interesting distribution centred on Sicily and southern Italy but with outposts on a lone island along the Dalmatian coast of Croatia and a single site (and apparently a single plant) on Malta. 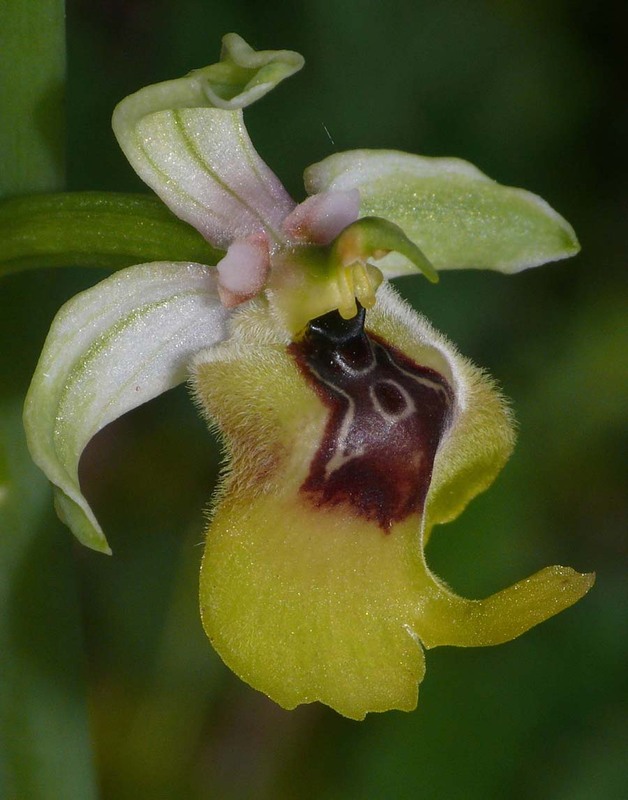 Nowhere is the species in any way common and even in its few strongholds it can be extremely elusive. 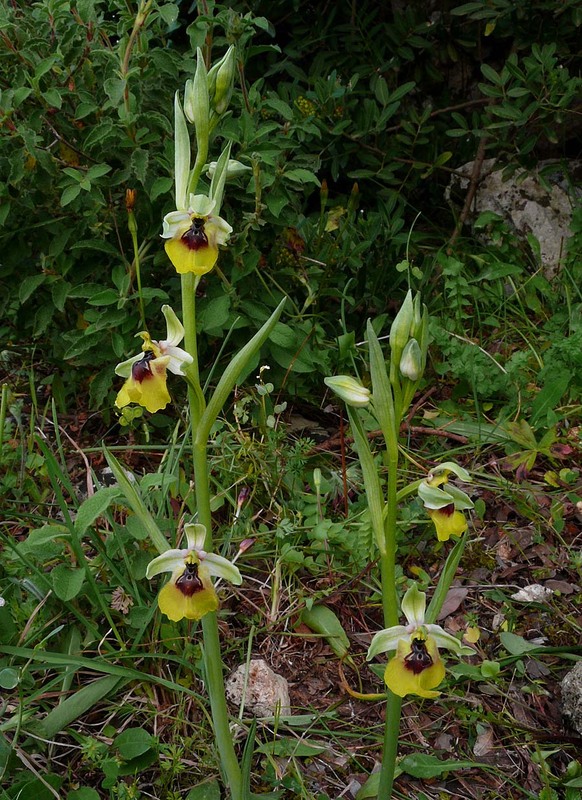 One of its well known and traditional sites in the Monte Grosso region of Sicily has recently disappeared under the foundations of a new hotel and throughout the species range its getting scarcer year by year. 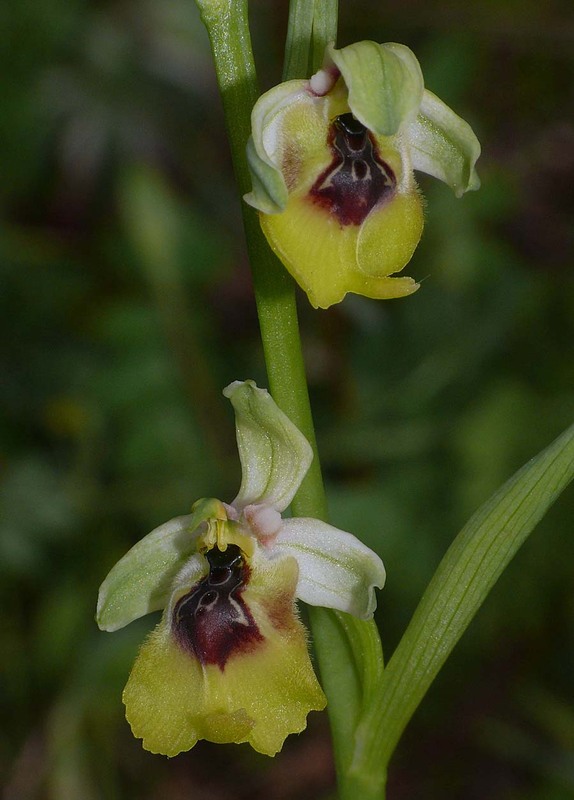 This is a distinctive species and in its pure form is unlikely to be confused with any other Ophrys. 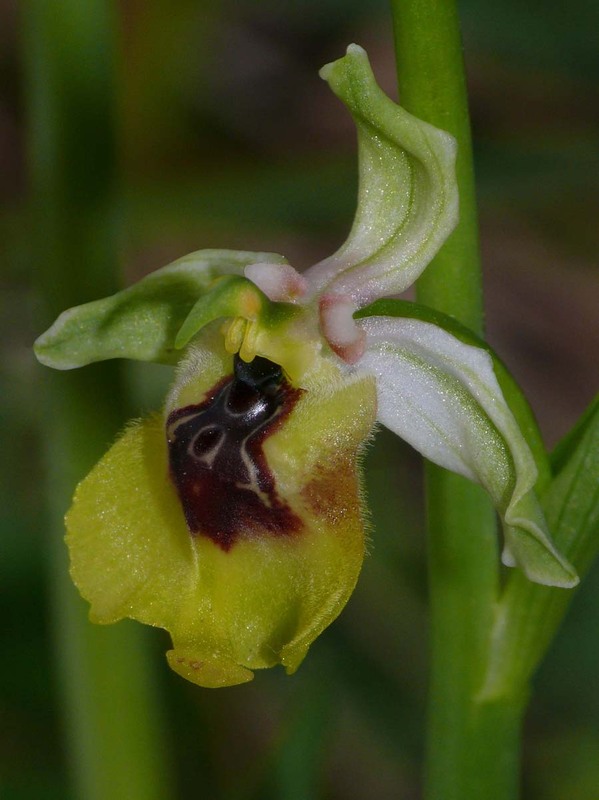 It does however share habitat preference with other fuciflorids and consequently will frequently grow in close association with these species, hybridization being a frequent outcome. 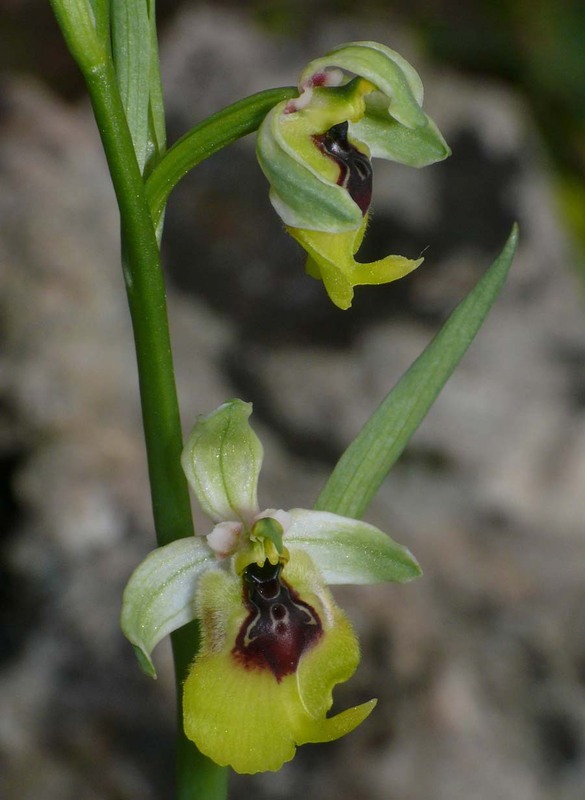 Nowhere is this more apparent than in Sicily where O. lacaitae and the endemics O. calliantha and O. biancae, together with O. oxyrrynchos can all appear in bewildering forms and markings. 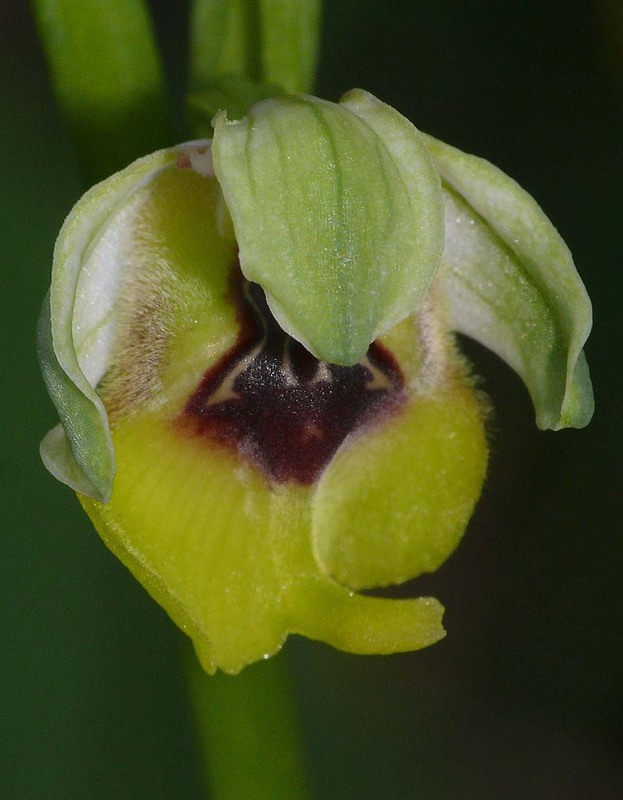 As with others of the O. fuciflora group, the appendage is large and as can be seen from the photographs, in some cases may be huge. 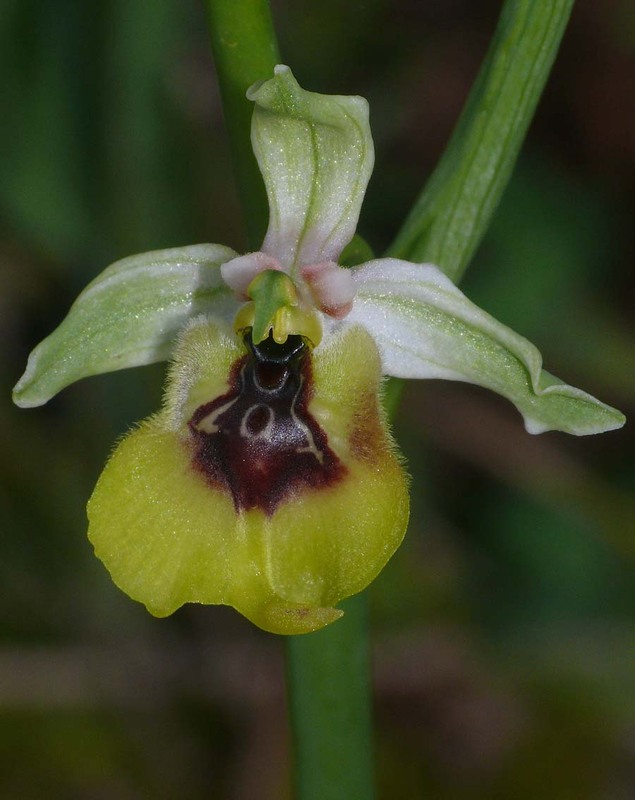 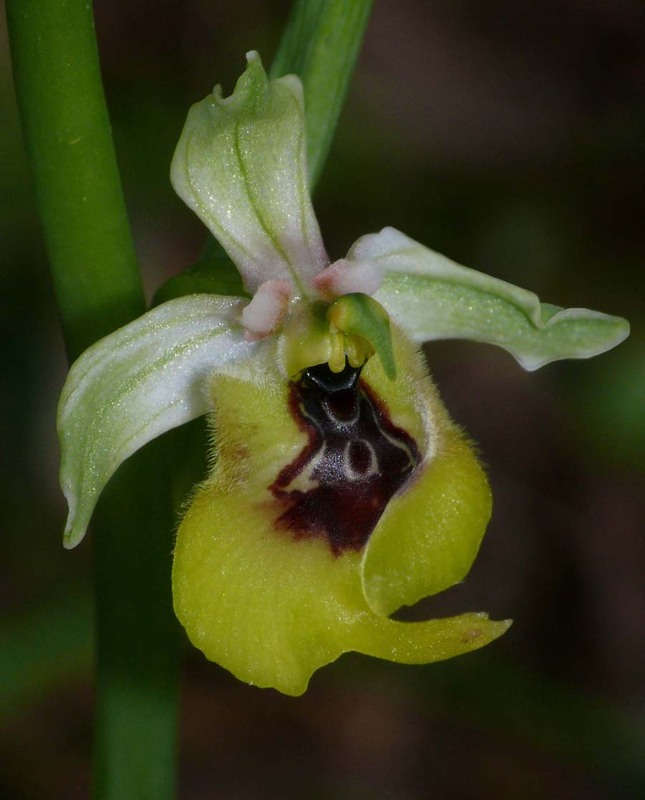 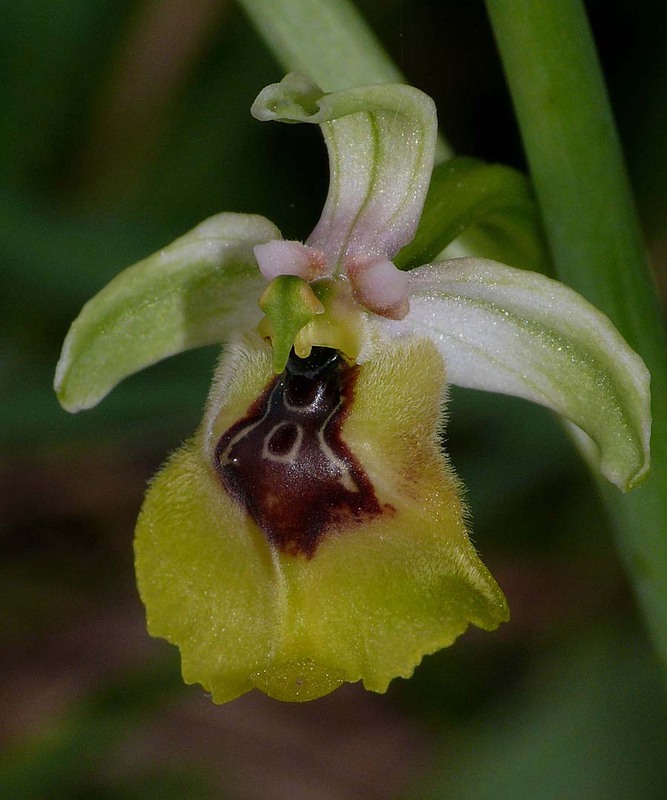 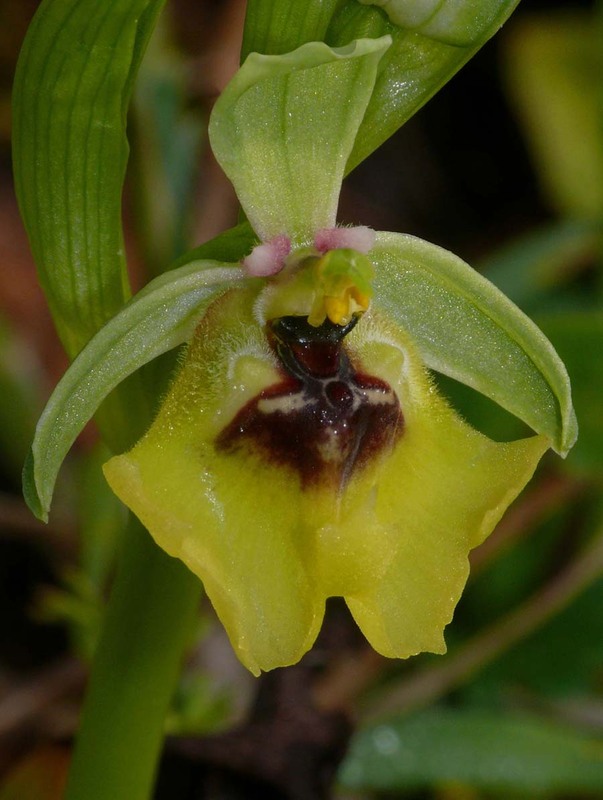 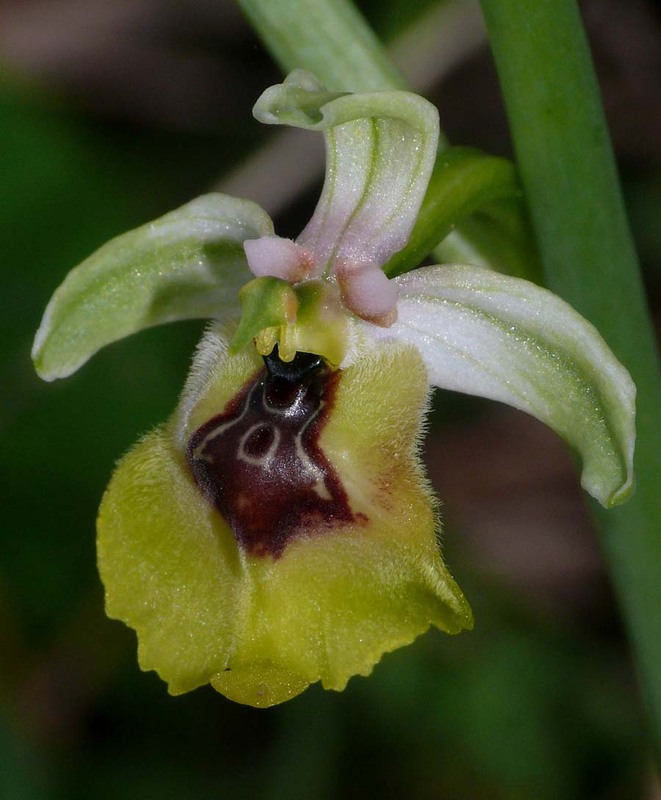 It is not a particularly variable orchid and the combination of light green lanceolate sepals, reduced speculum and lemon yellow labellum are diagnostic and identification beyond doubt. 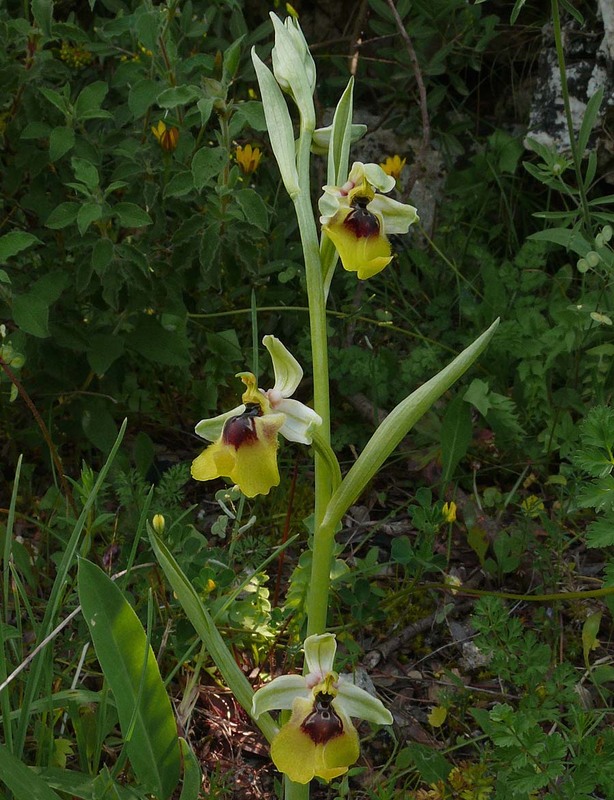 The illustrations all come from a group of plants growing in the Pantallica National Park, east of Ferla, Sicily and date from the end of April 2011. 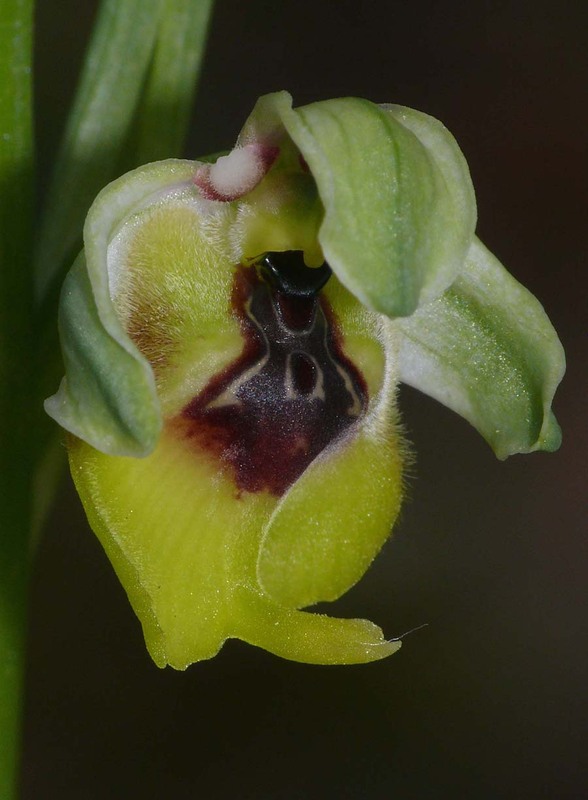 It is a late flowerer and at this time was only just appearing.